I recently attended a seminar in Troy, Michigan put on by the US Postal Service. The session was hosted by the Advertising Production Club of Detroit and was attended by local advertising agency, paper and printing company representatives. The presentation was titled “Direct Mail: It’s not an OR decision. It’s an AND decision” and was very informative as to the effectiveness and relevance of direct mail in modern-day marketing plans. The speakers showed that the USPS is working hard to integrate mail with the mobile and social media world that we live in. One of the new USPS offerings that integrates digital with analog media is Informed Delivery, which I have written about before on this blog. Among the most important topics discussed was the relationship of millennials to direct mail. Millennials are the young people who became adults in the early 21st century. They are the generation that typically includes anyone born in the years between the early 1980s through the early 2000s. 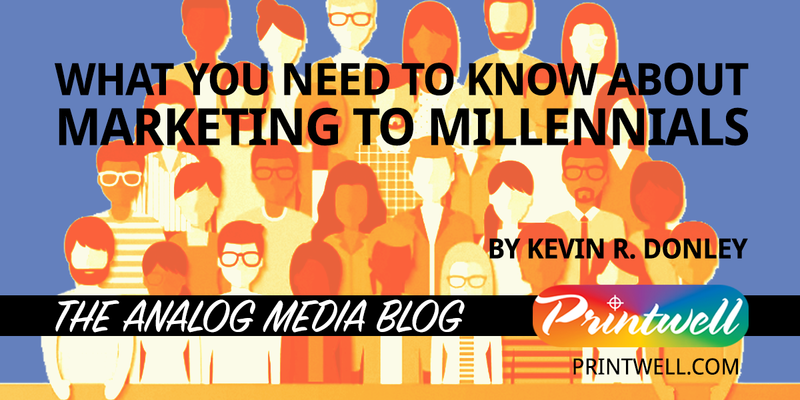 It is a common misconception that millennials are only interested in information and advertising delivered to them on smartphones and in social media. As the USPS report showed, however, millennials actually interact with the mail in the same manner as the previous, older generations. 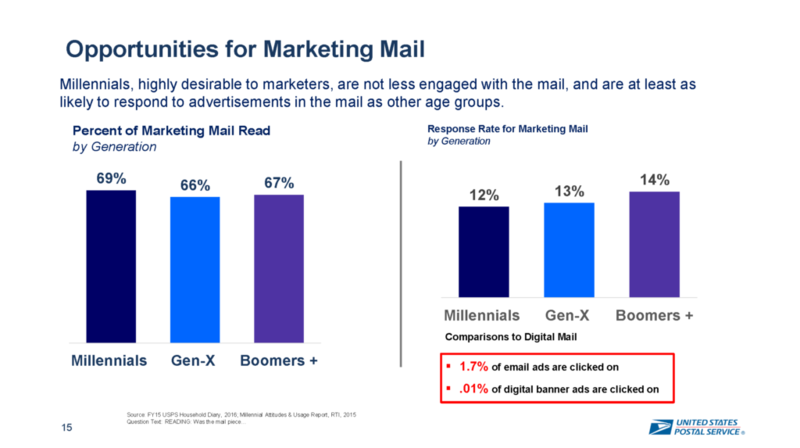 Along with the last of the items above, there were several other survey results presented that showed millennials to have higher rates of anticipation for and reading of the mail than the other generations. What all of this points to is that, far from mail being generation-specific or only relevant to older people, there is something universal about the experience of receiving paper-based and printed items in the mailbox each day. It is this interaction with a physical, printed item that has great value for the recipient. It is for this reason that direct mail is among the most effective means of reaching customers and should be included in every marketing and communications plan. At Printwell, we are dedicated to keeping our customers informed about the most effective methods and uses of print media in the complex marketing landscape today. Please contact us here or contact your account representative to schedule a consultation.